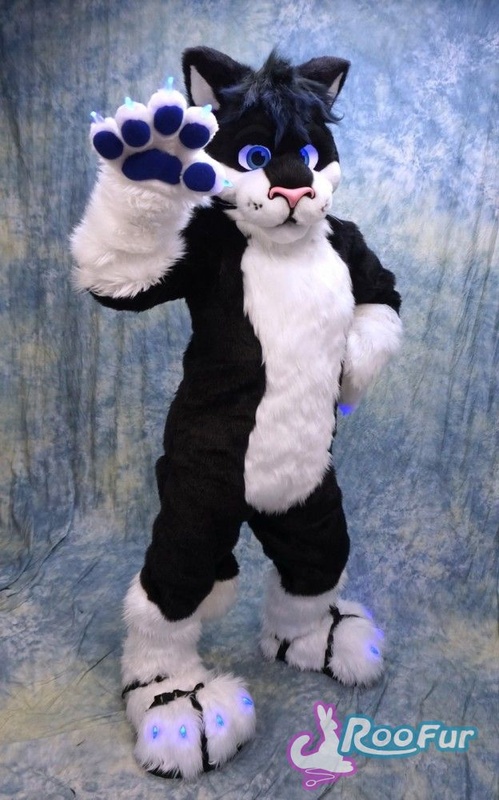 After many years being out of commission, the original fullsuit of Frostcat finally get's an upgrade made by Roofur.com I simply love the glowing claws and eyes. Perfect for the fursuit raver on the go. Thank you so much coyoroo for bring the original Frost back new and improved. - Especially if I have some of her powers too. Hehe, I wouldn't mind that at all =^_^= - Especially if I have some of her powers too. I had a good partial but my head is getting dingy. Granted there's washyourpaws but they're/she's currently closed.